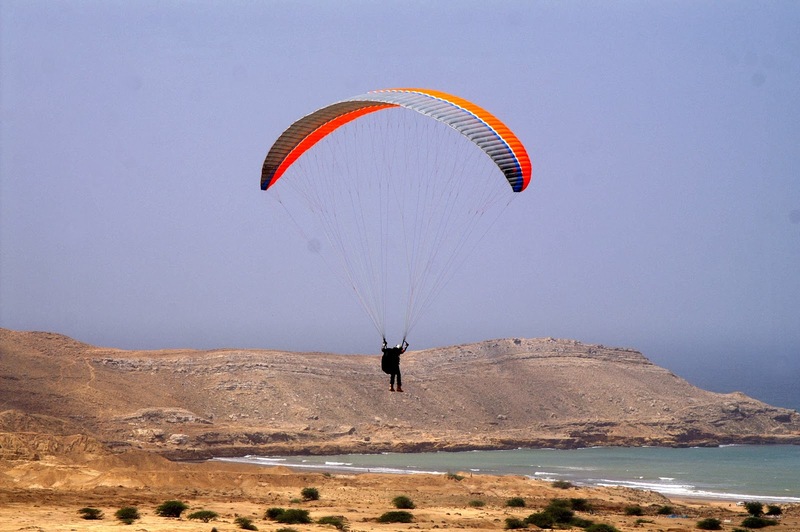 Karachi Coastline is “blessed and bountiful” for fishermen and adventure seekers exploring snorkelling, scuba-diving, paragliding and angling. The mubarak village lies at a distance of about 60 kms from Karachi to the NW of Karachi is a small fishing village with scattered houses. Unlike Kemari, water here is very clear and often shows hues of blues and greens. One can clearly see the barren Charna Island from here. This village is mostly visited by saltwater anglers to quench their thirst for this addicting sport. 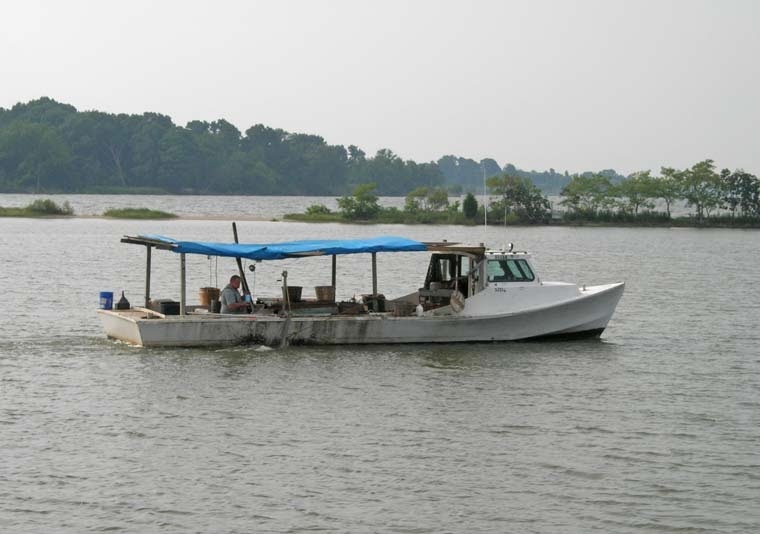 Small boats with noisy diesel engines are available to take them to different fishing spots. The main attraction of this beach is the course grained golden sand which looks beautiful during the backwash. Seagulls are also very common around the village. 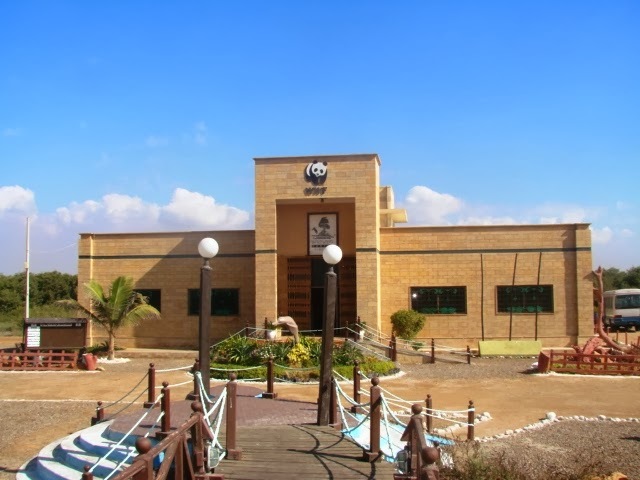 Start your tour by visiting WWF Wetland Center at Sandspit. The facilities in the center includes a library, conference hall and an information center where they provide overview of Ramsar sites, biodiversity of the area and geographical information through electronic kiosks. They also have a community kitchen where they serve sea food prepared by rural communities of the area. You can also take part in one of many activities organized by WWF such as fresh water lakes tour, turtle watching, bird watching or take a tour to the mangrove forests. See diverse marine wildlife in their natural environment in the sea grass meadows, sandy bottom and rocky reefs. 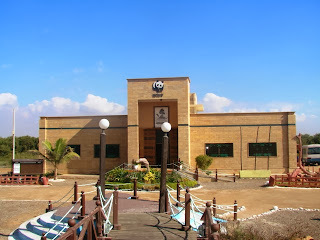 Karachi Scuba Diving Centre, Indus Scuba and Divers Reef offers Scuba Diving near Charna Island, where they will share their knowledge and stories of the local environment, culture and heritage and will educate you about the country's unique Natural and Marine environment. 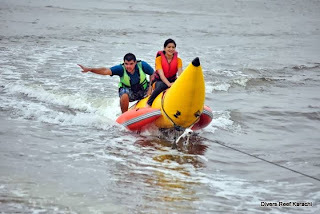 The snorkelling tour starts from Rs 3500 and includes transportation, food, equipment and basic training. 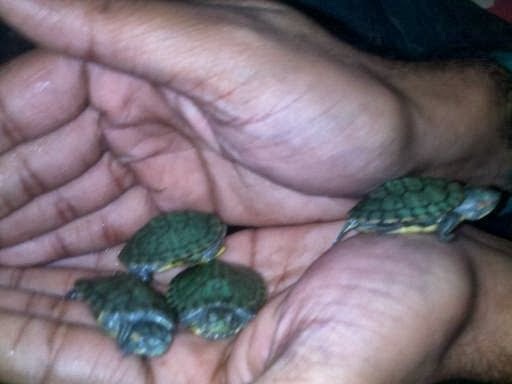 After snorkelling or scuba diving, you can spend rest of your evening by watching green turtles at Sandspit coast. Turtle watching is an unforgettable experience of observing egg laying process of marine turtles along the sandspit after the sunset. The fascinating experience helps you understand shared use of the beach by both turtles and human. Release of hatchlings or baby green turtles into the sea adds more excitement to this experience. To make your stay more memorable and for lesser traveling, it is recommended to book a beach hut for your overnight stay. 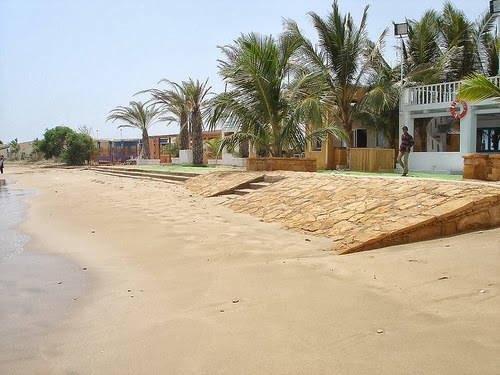 There are several beach huts on French beach, Sandspit and Tushan beach which are popular for turtle watching. For luxurious overnight stay, Sheraton hotel also has a beach hut on Sandpit. So delight yourself basking until sunset, enjoy dinner on a moonlight dawn and wake up to the fresh breeze of the charming beach. Start your day from the beaches. The West Karachi is home to some of the region's most beautiful beaches including Hawkes Bay, Sandspit and French beach. You can experience sun rise if you are staying overnight in any of the beach hut. 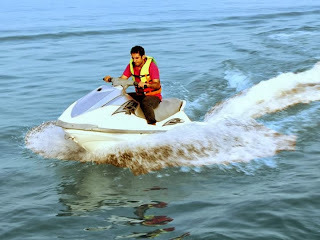 You can also enjoy Jet Ski in the morning. 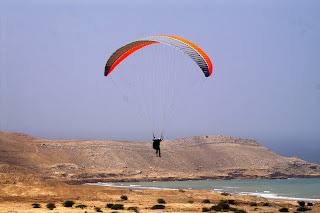 Though Karachi is not a very suitable place for Paragliding but despite that Karachi Gliding Club and EMAC periodically arranges Paragliding in Mubarak Village, on the beach. The “air-field” at Mubarak village is a relatively flat piece of ground beyond a 25-foot hill, adjacent to the Hub Creek near Sunehra beach. The smoke cascading out of the sky-scraping chimney of Hubco Power Plant across the creek is one of the indication of the wind direction as well as air-socks are pulled up for the direction. Pakistan Maritime Museum is fascinating and highly recommended maritime museum. Apart from several interesting galleries including the Naval Gallery, Marine Life Gallery, Maritime History Gallery and Interactive Science Gallery which houses scientific articles and machines of FDSK and SUPARCO (Pakistan's Space Agency), there are some great outdoor exhibits. 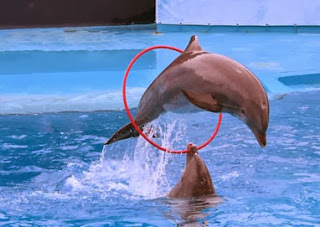 The museum is also a venue of seasonal Karachi Dolphin Show, which happens mostly in winters. Don't forget to check out the midget submarine, mine sweeper and breguet atlantic aircraft. The museum remains open seven days a week from 8:00 am to 10:00 pm. The entry ticket for Adults is Rs 30 and Children Rs 20. Arena is a modern and family friendly gaming arcade offering 16 lanes computerised bowling alley, virtual bowling for those who don't want to handle the traditional heavier bowling balls, mini golf, pool tables, 29 different arcade games, coin-operated kiddy rides for children, ice skating rink which is first of its kind in Pakistan, virtual reality simulator, paint ball, rock climbing, and a gymnasium. 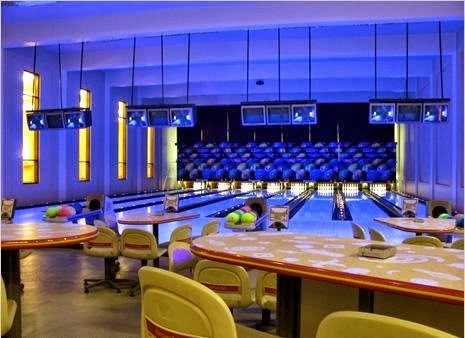 There's a nice buffet restaurant "Rangoli" which serve continental & Mughlai dishes and a cafe styled restaurant "Cafe Mist" and "Mocktail Bar" located inside the Arena. Entrance fee is Rs. 500 per person which is redeemable. Experience the crazy water adventures with Divers Reef Karachi. 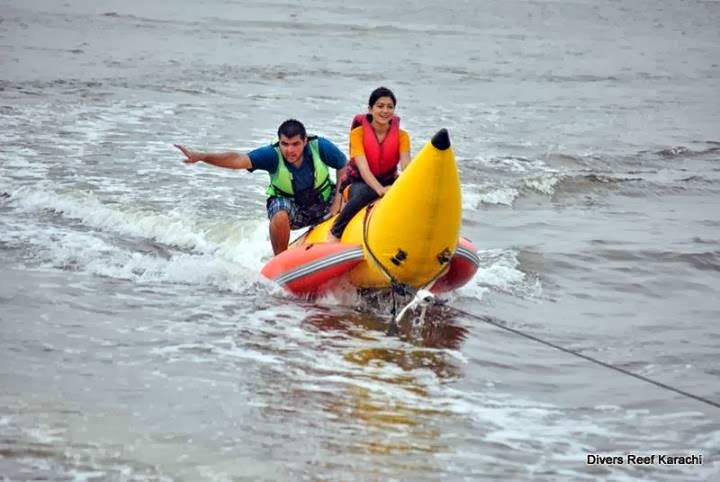 Gear up for action packed day with knee boarding and banana tubing. Divers Reef Karachi is dedicated and keen to provide you all an entertainment outlet that will take away your breath with the adrenaline rush and a day filled with extreme joy with a friendly environment. So tag along and be part of something never seen before in Pakistan. Package includes Cliff Jumping, Banana Tubing, Knee Boarding, Lunch (Hot Serving), Transportation, Photography and Equipment. 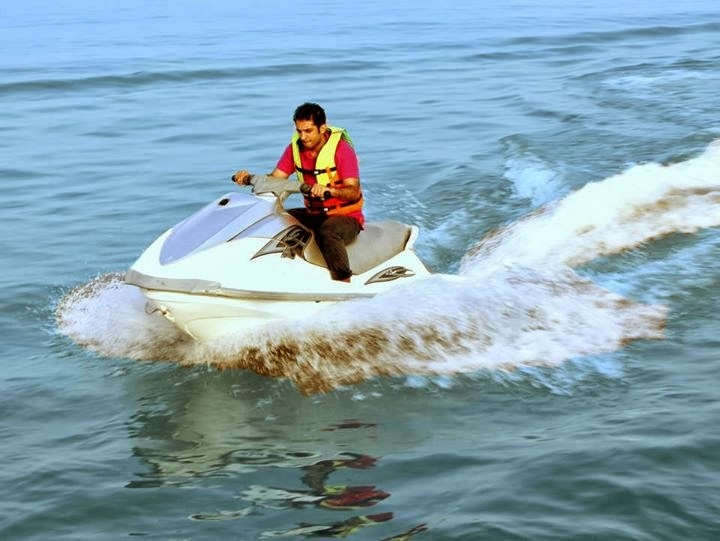 And if your craze for Jet Ski hasn't ended yet than optionally you can head to Airmen Club for Jet Ski as well. Karachi Oyster Rocks is an amazing location for crabbing. Avari Hotel organizes crabbing tours where you will be picked from the hotel in the evening for Kemari harbor, from where you will be transferred to board on a traditional sail boat. 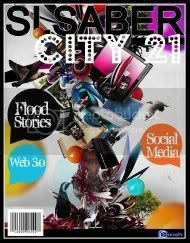 It will cruise outside the Karachi harbor and stop near oyster rocks to try your luck to catch crabs. The crabs caught by you and the expert fishermen will be cooked on board with traditional style of mild spices and fried potatoes and you can have a delicious dinner and enjoy the sunset at Karachi harbor. You will be bought back to the hotel around 8:30 - 9 PM. 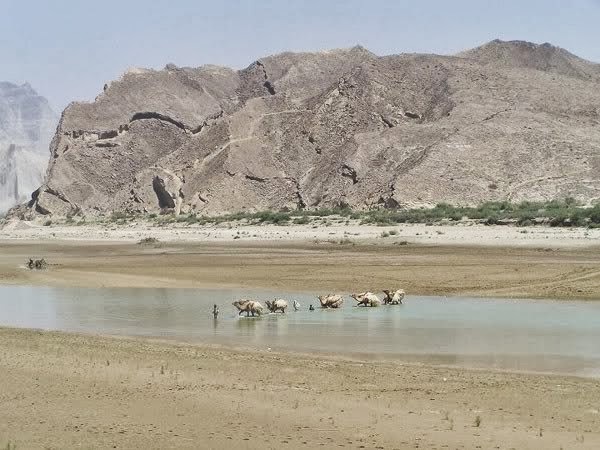 Hingol National Park is the largest National Park of Pakistan located along the Makran Coastal Highway approximately 190 kms from Karachi. 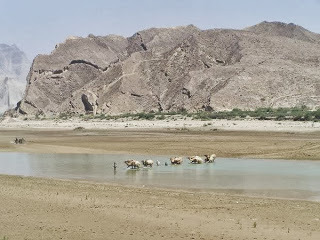 The National Park includes the estuary of the Hingol river which supports a significant diversity of birds, mammals and fish species. The Hungol valley has fantastic scenery of towering cliffs, pinnacles and buttresses, the river winding between. The water is crystal–clear, reflecting the incredible blue of the sky. It makes for picture–postcard scenery. The River has been nurturing crocodiles for centuries and the park also has mud volcanoes. Offroad Pakistan periodically arranges road tours to the national park which is a lifetime experience. If you have been to Karachi than we request you to please add your review about the city on tripadvisor. Thanks! 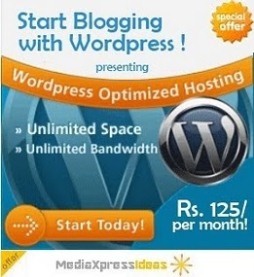 wht is ur price for this gr8 tour!! Do nothing but go to astola island if you are lucky enough to reach there.....Camping and Scuba diving at Astola will be better than all of these activities. Karachi Oyster Rocks is an amazing location for crabbing. Avari Hotel organizes crabbing tours and reviews of TermPaperEasy where you will be picked from the hotel in the evening for Kemari harbor, from where you will be transferred to board on a traditional sail boat. 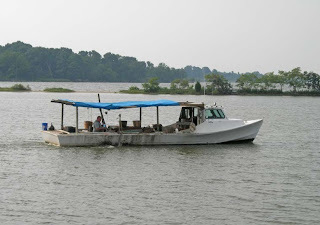 It will cruise outside the Karachi harbor and stop near oyster rocks to try your luck to catch crabs.